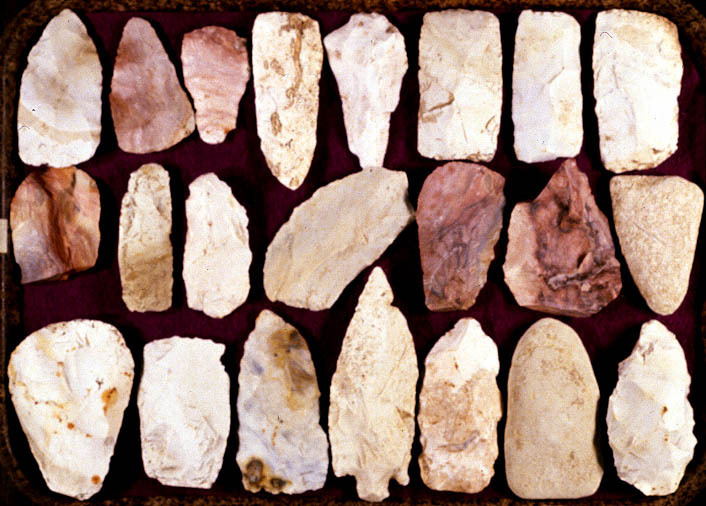 The Davis archaeologicl site (23SL66) is situated along the Meramec River not far from the Crescent Hills Quarries. 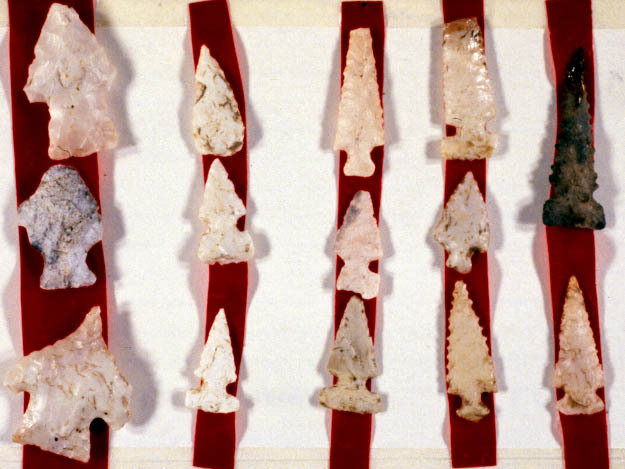 Stone tools, pottery, and pipes from the site date from the Late Archaic, Woodland, and Mississippi Periods. 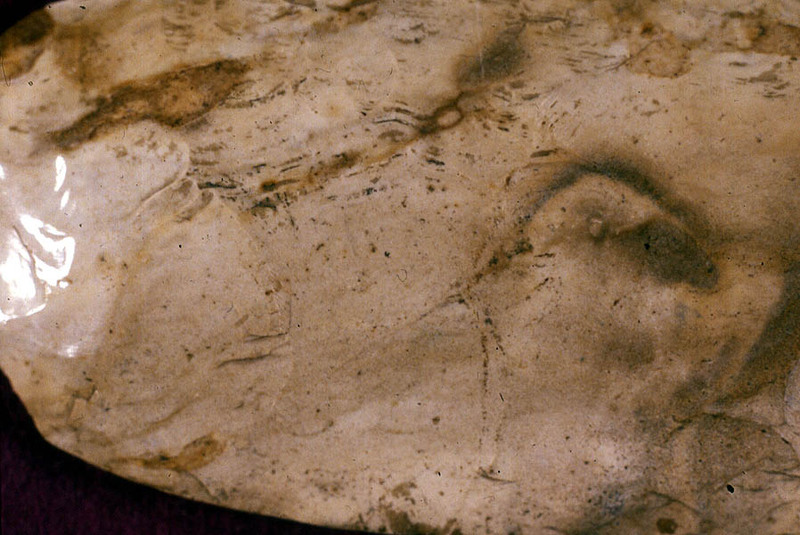 The site was recorded with the Archaeological Survey of Missouri in 1957 by Spencer Cram, Ed Smyth, and Leonard Blake. 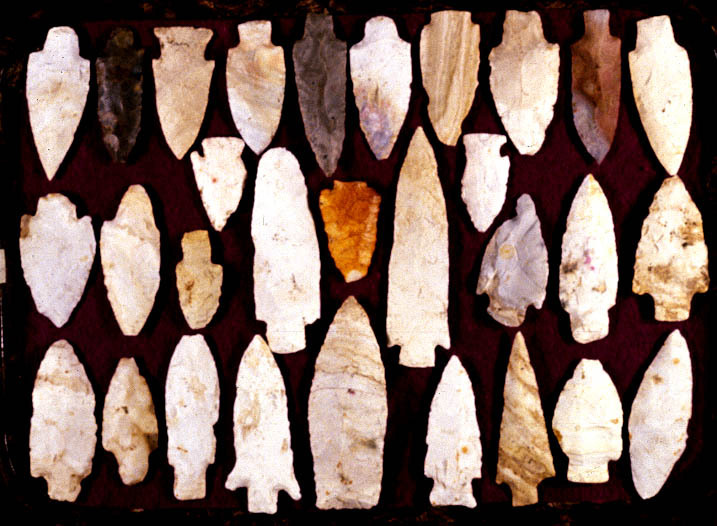 Many significant artifacts were discovered by the landowner after the 1983 flood along the Meramec River. 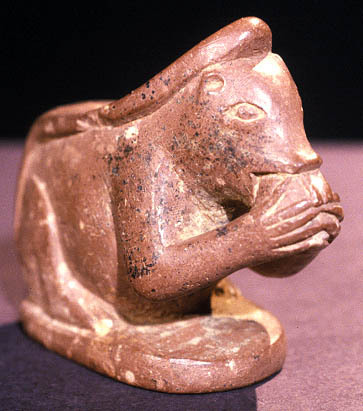 One artifact in particular fascinated him - an effigy pipe. 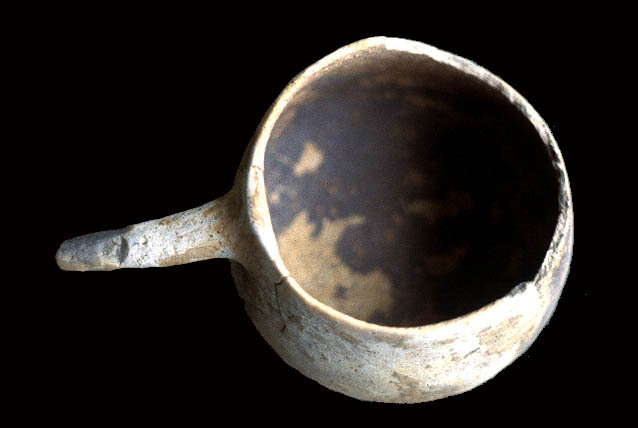 He brought the pipe to an MAS meeting and showed it to the professional archaeologists including Carl Chapman, Michael Fuller, and Neathery Fuller. Michael and Neathery Fuller spent several days visiting with landowner and documenting his collection. 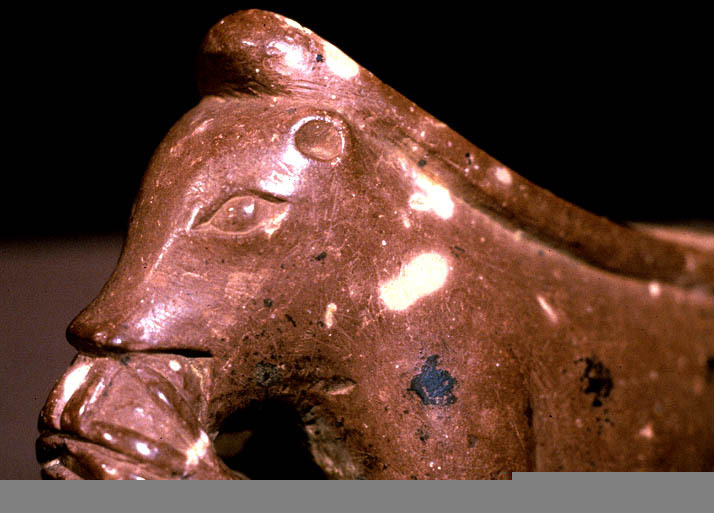 An article about the Squirrel effigy pipe was published in the Missouri Archaeological Society Quarterly (Vol. 4, No. 1), January to March, 1987. Davis Site squirrel pipe made from fire clay. Davis Site squirrel pipe, closeup. 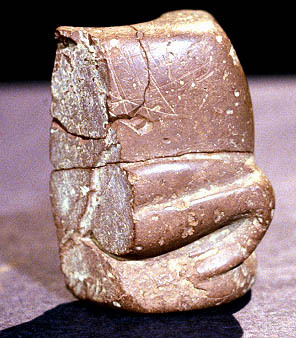 Davis Site squirrel pipe, sideview. Davis Site squirrel pipe, baseview. 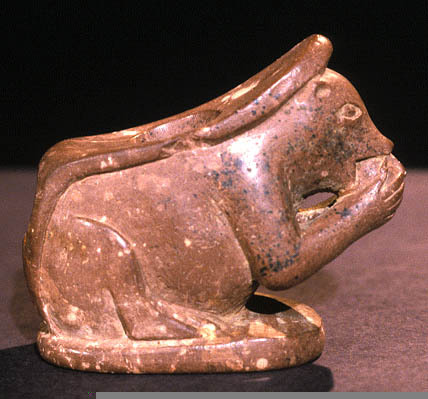 Davis Site frog pipe (broken) made from fire clay. Davis Site pottery beaker of the Tippett's Bean Pot style. Shell tempered with light gray (5Y7/2) exterior. Rim diameter is 14.7 cm., rim thickness is 8 mm., vessel volume is 1,900 ml. and estimated complete weight would be 500 grams. 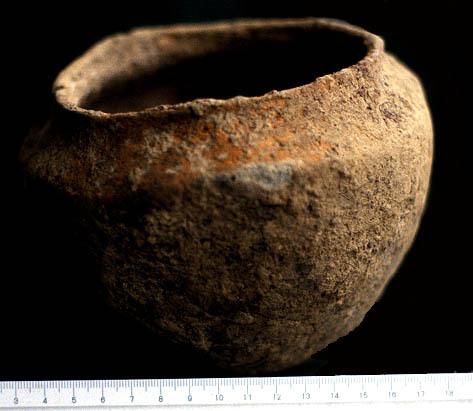 Davis Site pottery cookpot of the Mississippi Plain variety. Shell tempered with dark grayish brown (10YR4/2) interior and exterior. Rim diameter is 12.5 cm., rim thickness is 8 mm., vessel volume is 1,480 ml. and estimated complete weight would be 630 grams. 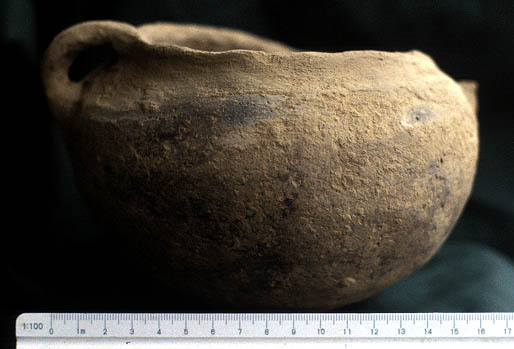 Davis Site pottery cookpot of the Mississippi Plain variety. Shell tempered with brown (10YR5/3) exterior. Rim diameter is 12.6 cm., rim thickness is 6 mm., vessel volume is 1,420 ml. and weight is 415 grams. Davis Site Mississippian Spade made out of Crescent Chert. 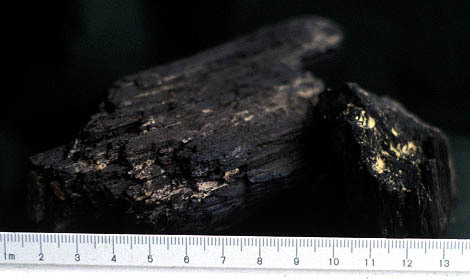 Length = 28.5 cm., length = 12 cm., and thickness = 2.7 cm. Primary color is very pale brown (10YR8/3). 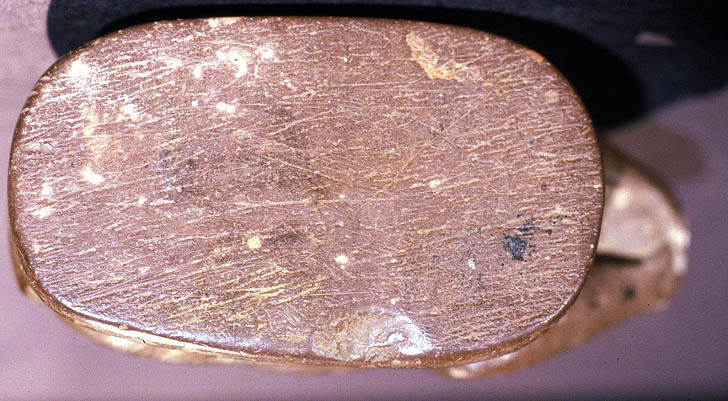 Closeup of the Davis Site Mississippian Spade showing polish bit edge. 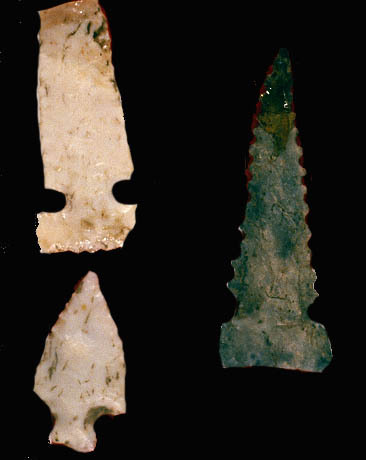 Reed points from the Davis Site (23SL66). 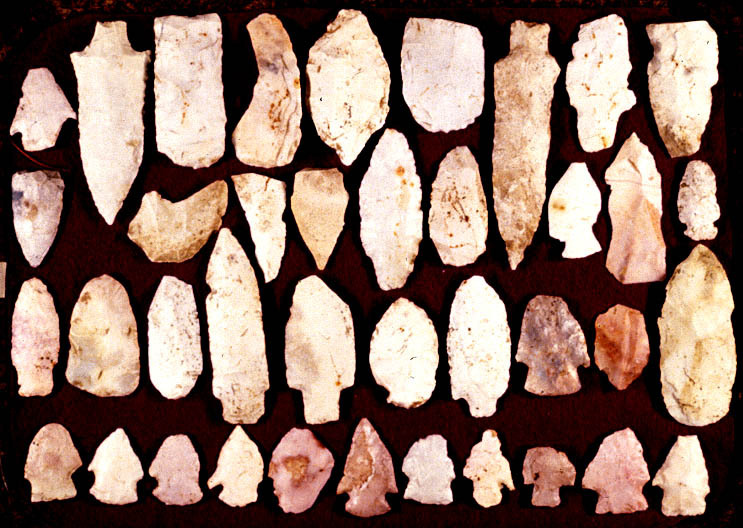 Mississippi Period arrowpoints from Davis Site. Davis Site Late Archaic and Woodland Period artifacts. 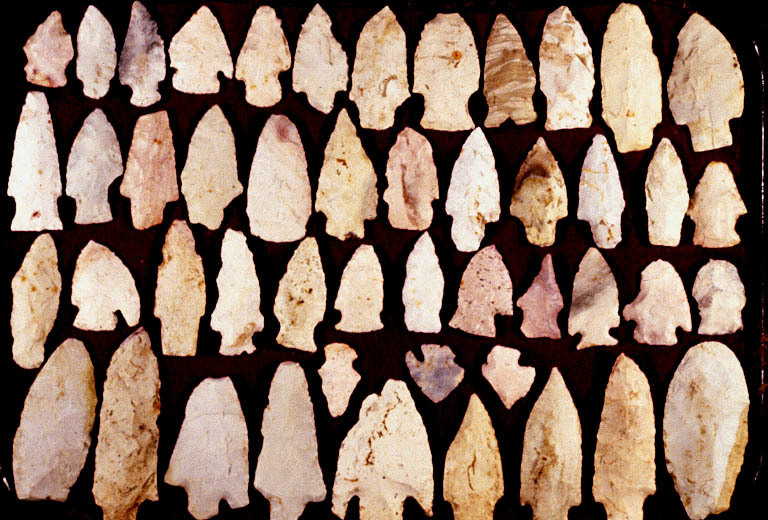 Davis Site Late Archaic and Woodland Period thick bifaces. 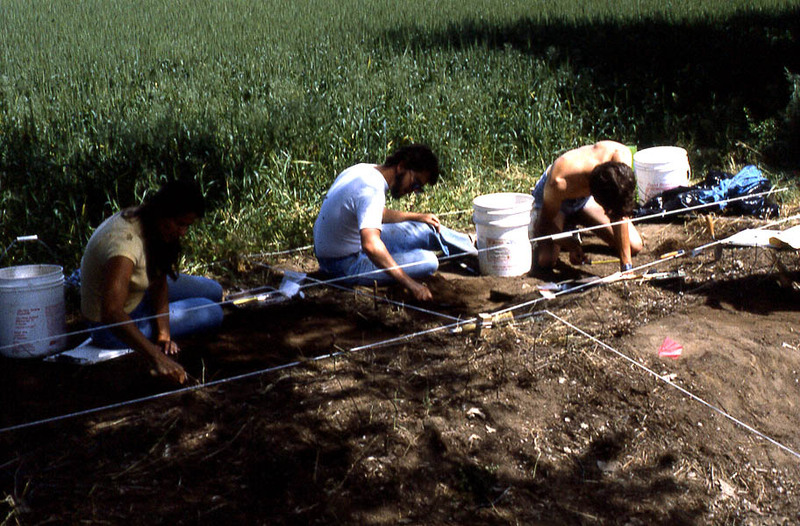 Saint Louis Community College students excavating test squares to confirm that the evidence for occupation extends beneath the plowzone at the Davis Site. 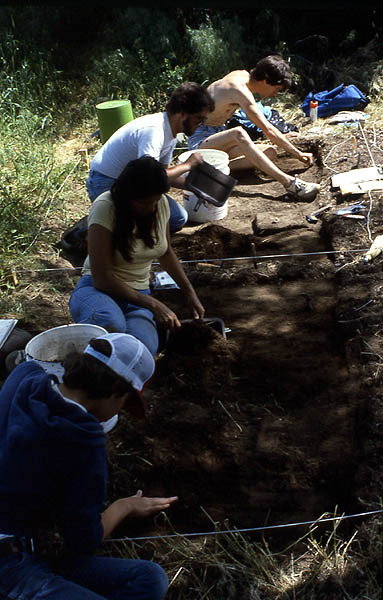 St. Louis Community College students excavating at the Davis Site to confirm that occupational remains extend below the plowzone.